60mm Rotary Cutter is sharp enough to cut through 6 layers of fabric and difficult materials. 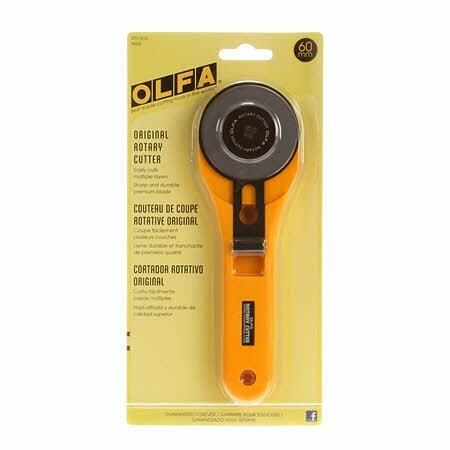 This cutter features a durable handle with a blade cover for safety. The cutter is a rolling razor blade used to cut heavy fabrics into shapes, strips and pieces for sewing, quilting and craft projects. Good For: cutting fabric, paper, wallpaper, leather and photographs.